Rick Williams called the experience "the event of a lifetime." Salem Police motorcycle officers blocked traffic at the intersection of 12th and Court streets NE on Tuesday, clearing the way for the U.S. Capitol Christmas Tree. 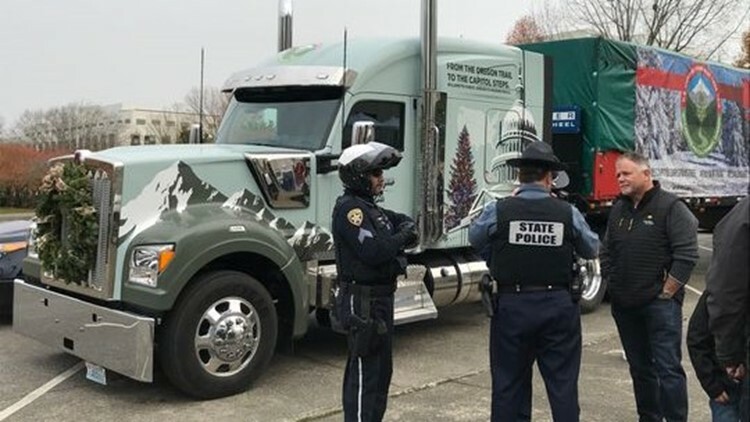 Truck driver Rick Williams, right, confers with law enforcement escorts before leaving the Oregon State Capitol on Tuesday, Nov. 13, 2018.